The latest Yugioh series is finally here! I’ve only seen the first episode of this show so far, but it’s already setting up a lot of hype plot points for the future. Make no mistake, this is a show that is certainly going places. It’s already got all the makings of a great show, the only question is how it will fare against the other Yugioh titles. I shall have a review with all of those answers once the show is over. It’s been a long while, but now I can finally jump onto the next installment in the Yugioh World Championships. I believe I am only missing around 4 of them now. The games lasted for quite a while back then and it’s a shame that they’ve stopped. Imagine how many cards a World Championship 2017 would have had. I suppose that with Duel Links the franchise may be wondering how they can top that, but I’d still like to see an attempt. While I prefer humanoid opponents to monsters in the WC series, this game holds up as well as any of the others. It’s pretty well optimized and the load times are nonexistent so that’s a win-win. The main mode you’ll be playing here is the campaign. Essentially you start off at Level 1 where there are 6 opponents. To unlock the next level you must defeat each opponent 5 times. Fortunately this is now the only requirement to unlock the next level as previous games forced you to achieve a specific victory ratio. That required you to keep on resetting the game right before defeat which was tedious so this is a big improvement. There were opponents in this game that I had a losing record against so I am definitely glad that I don’t have to worry about that now. It makes gathering money a little easier since you actually get to keep it even through defeat. There are 5-6 levels in the game, but only the first 4 are accessible without having to enter other modes so that’s where I stopped. My final record at the end was 96 wins and 88 losses which isn’t so bad if you ask me. I was just glad to stay above a 50% win ratio so that was satisfying enough. This main mode will likely take you at least 10 hours, but it’ll certainly depend on the deck that you create. Naturally there is a large amount of luck involved on which cards you get and such, but mitigating the risk is part of what makes you a good deck builder. Try to build a lot of combos into your deck so that no matter what you draw it’ll be a good one. I focused my deck on Elemental Heroes. Sure, it may be borrowed from Jaden, but that’s exactly why I went with the deck. If it was good enough for him to wreck everybody then it’s good enough for me. I added in some extra spells and traps to make the deck a lot easier to counter with so at times it did backfire. Let me say that getting a hand with all traps and no monsters is no good. You always want to have a monster ready to summon or you’re really going to be in a pickle. At the same time, the final opponents all have very cheesy summons and combos so having a trap that automatically destroys the monster and wastes the last 5 minutes of their effort is a must. The graphics are pretty clean. It’s not as if they’re doing anything too special but it’s easy to look at. The duel field isn’t cluttered and it’s always easy to see what is going on. As for the soundtrack, it’s okay. I think Tag Force has spoiled me a little as the themes there were just super awesome throughout, but the peaceful World Championship score isn’t bad. Honestly I’m usually way too focused on playing my trap cards and going through memes in my mind to actually notice it all that much. It goes without saying that there is a ton of replay value in this game. After beating all of the main opponents you can go to the other modes that I referenced earlier. One such mode is the Limited Duel. Essentially you have to beat an opponent while adhering to certain limitations. Another one is the Duel Puzzle. You’ll be thrown in the middle of a duel and have to figure out how to win it in one turn. Despite the fact that there are only so many ways you can play your turn, this can actually be extremely difficult. Seriously, don’t underestimate just how tough this is. It’s pretty entertaining though so while it’ll take a while, you’ll have fun trying it out. Honestly it could probably take you as long as an RPG’s game length to tackle everything in this game. I won’t even count collecting all of the hundreds of cards since that would be even crazier. I have around 400 cards and I don’t think I’m even halfway there yet. Not to mention that you buy them lottery style so there is some luck at play there. You couldn’t really ask for a better Yugioh simulator. Since the game even has mini animations for the big monsters, you really feel like you’re in the duel. The music will also change if you destroy your opponent’s ace monster. As I mentioned, the controls are really smooth so you’re not going to attack the wrong person by mistake. The turns are pretty quick so it’s not as if the long loading times exist to deter you. The amount of cards at play is also pretty good and earning money is quick so you are always ready to buy your next pack. As such I don’t really have any complaints for this game. A minor nitpick would be that I’d prefer to have fought some of Jaden’s opponents from the show instead of generic monsters. The classic Yugioh games all had you fight with iconic characters like Kaiba and Pegasus. There weren’t cutscenes or anything, but at least it would feel more like you were fighting an actual opponent. As you went up the levels you would fight stronger/more popular fighters. Here…I guess having Cyber End Dragon in World 4 makes a lot of sense, but I didn’t even know a bunch of the other monsters. It was just an odd change although the last Yugioh GX game did that as well so maybe it’s just GX’s gimmick or something. One of these days I’m definitely going to have to make a list where I place all of the Yugioh Games from best to worst. Such a list would be super hype and perhaps I should make that an article. Keep your eyes out for that even if it may not have the clickbait headline that I usually try to have accompanying it. The highest game for Yugioh on my backburner is Duelist of the Rose, which will likely come up pretty soon. It technically is pretty short since there are only about 7-8 duels as opposed to close to 200 in this one, but I’ve heard they are super tough to compensate for that. Pro tip for when you fight the opponents. Stalling them usually won’t work. I was able to really take advantage of that in the Wii game, but here they always have some kind of fancy combo to wipe the field so they can usually outlast you. If you have the edge in battle, just throw out an attack. Odds are that it will succeed and you’ll be glad that you did. Surprisingly most opponents don’t have a trap card to punish your attack in the later levels as mostly it’s just the intro opponents who will do that. Overall, If you’re into Yugioh, then this is a solid game to get. 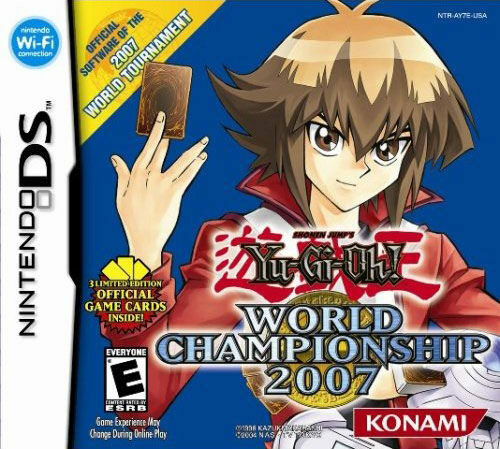 My personal favorite World Championship game may still be 2006 because I felt the gameplay was the best from all of them, but I also may be bias because that game had my favorite deck. I went through all of the options for hours in that game and finally came out with a really hype fire deck. Every card had a lot of power behind it and I cruised through the game. Still, I made a pretty solid deck in the end through this game as well and it would be fun if I could fight myself with it. 2010 is also a pretty great title since that one did actually have a main story as well. I’m not sure which WC game I’ll get next, but 2005 is definitely the cheapest one which sounds good to me. I believe it is the final classic Yu-Gi-Oh title that I have not purchased yet. I now own the hit movie! I pre ordered this movie right away and it finally arrived. The wait was tough since this film was just on point the whole time. I look forward to watching it again and being reminded of the utter brilliance behind this series. Yu-Gi-Oh never gets old and I hope we get a sequel soon. 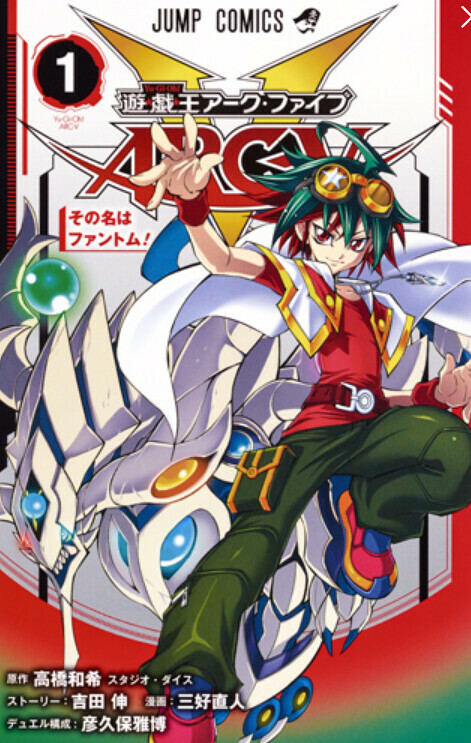 This Yugioh manga may have succeeded in making the most changes out of all its predecessors. I’m always glad to see it have a brand new plot since it makes the manga more exciting. That being said, I don’t really like the new personality they gave Shay. While the manga doesn’t look to be as exciting as the anime, it’s very early on and is a solid title regardless. After all, Yugioh duels in any context are awesome! I shall have a review for this series once it finishes. 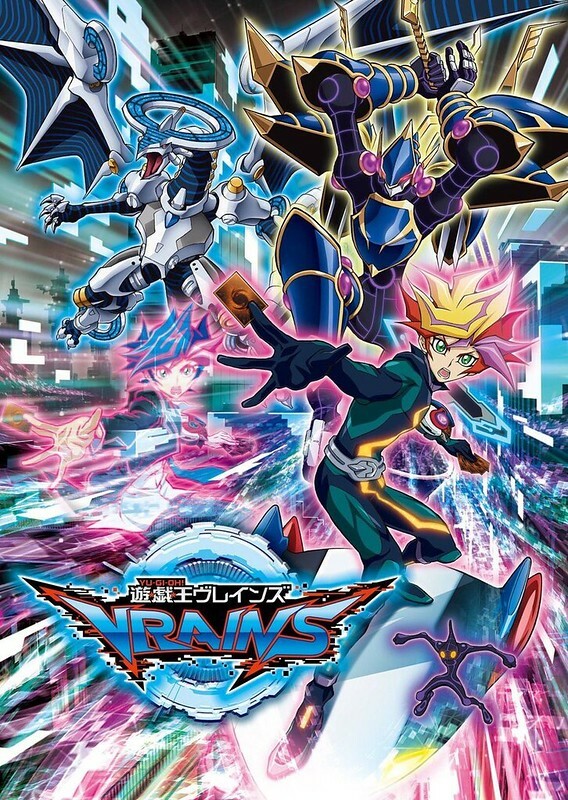 It feels good to finally have another Yugioh movie out in the world. The 3D crossover still ranks as the greatest film of all time so I had really high hopes for this one. Spoiler Alert- it doesn’t manage to topple the 3D film, but nothing really can. This film was handled perfectly and I can safely say that it is in my top 5 movies of all time. At the moment I’d put it in 4th. 1st being Bonds Beyond Time 2nd being Broly The Legendary Super Saiyan 3rd being DBZ Resurrection F and Bleach: Hell Verse being right under the Dark Side of Dimensions. It gets a little tricky after that with Boruto, Final Fantasy VII, Madoka Rebellion, and others films fighting it out. Whether you’re a Kaiba fan or not, you should definitely be able to enjoy this adventure. The film pretty much starts with Kaiba reminding the world why he is the greatest. He manages to finally defeat Yami Yugi. Granted, it was an A.I. version of him, but with Kaiba’s top of the line tech it may as well have been the legendary duelist. Kaiba wants to bring the real deal back though after Yugi and friends sealed the Pharaoh away in the past for all of eternity. To that end he has uncovered the Millenium Puzzle and must put the pieces back together. Things don’t go as planned when an avatar of the Plana shows up. His name is Deva and he can’t allow Yami to come back or else he will lose his special powers. This would ruin his plans for revenge so he attempts to get in Kaiba’s way. The heroes are thrown into the mix because they are Deva’s targets. Joey is still really into dueling, but Yugi has mostly moved on from such things. He is forced into action once more though when Deva kidnaps Bakura and Joey. It’s personal this time and Yugi is determined to end things once and for all. Can he really hope to win without the help and guidance of Yami though? It may be time for Kaiba to step up as the new hero. One thing you’ll notice from the start is that Kaiba’s practically the main character of this adventure. He gets the most interesting plot, the best lines, and the best duels. He completely steals the show here and his genius goes to brand new heights. He is able to make just about anything from power inhibitors to space ships. 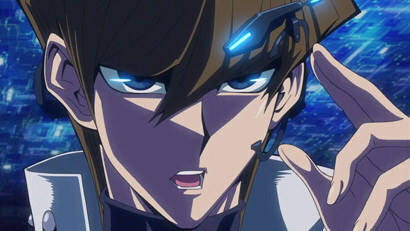 Kaiba even comes up with a solid light duel disc which can repel reality warping. If that’s not impressive, then I don’t know what is! Almost every single line from Kaiba is an insult or a way to brag about himself. It wouldn’t work so well if he was always full of hot air, but Kaiba can back up all of his tough talk. He basically doesn’t get to lose in the entire film. He is a master class duelist and as far as I’m concerned, he’s the best. Kaiba has completely surpassed everyone to the point where they can only hope to deal some damage with gimmicks and cheap tricks. Kaiba’s basically a perfect rival and the film reminds me of why he is so awesome. Aside from Jaden, he is definitely the best character in the franchise and one of my all time favorites in media. He even subverts the trope of the rival getting wrecked by the villain in the opening scene. Kaiba really stops every trope that opposes him as seen in his duel with Yugi and the ending as well. Kaiba really wasn’t playing around in this film and shows that you can be obsessed with getting payback while still serving the community and the world in the process. He’s just an upstanding guy. Deva is the main villain of the film and he is definitely solid. I’d have to say that he is a far superior villain to Paradox. It’s been a while since I’ve seen the Pyramid of Light, but I’m inclined to say that he is better than that guy as well. Deva is not quite ready to surpass the big shots like True Bakura and Marik, but I’ll also give him the edge over Pegasus. Deva may have gone off from the heroic path, but I have to give him credit for his determination. He never forgot the identity of the person he had to get revenge against even after many years and he did manipulate his powers well. If he was facing anyone other than Kaiba, he could have really done a lot of damage in the opening acts. This film really did manage to bring back as many big plots as possible along the way. As I mentioned earlier, the film was basically perfect. To be perfect, it had to bring back a certain character from the manga that I had been hoping would return. Well, it happened and I suppose I won’t say who exactly, but this villain’s a fan favorite. He does quite a lot of damage even if the film didn’t allow him to re obtain his true form. That would have been even more fun and I was actually expecting it to happen for a while there. The film gave him many opportunities, but I suppose it simply wasn’t to be. Yugi gets a big role as expected. He nearly dies in traffic which would have been a very sad way to go, but he managed to get out in the nick of time. It was a nice contrast to when Kaiba was around. I’m not crazy about Yugi deciding to step away from dueling, but I suppose that was always more Yami’s thing than Yugi’s. Yugi just likes games in general so I guess it was about time for him to move on. He’s a nice enough character as always. While not as tough as Joey, Yugi’s always ready to do the right thing and he is a determined guy. He does his best to search for Bakura and comes through when the stakes are high. He does give up a little too easily on Yami though, but luckily Kaiba called him out on it. It’s interesting to see Yugi in a semi retired state being forced back into action by Kaiba. Especially since he’s barely the main character this time around. It’s a different perspective and one that I definitely enjoyed. One part of the film that was puzzling was the fact that Joey didn’t get to duel. He talked about dueling quite a lot in the film and it felt like the film was trying to build that up as an actual plot. I was fully expecting him to duel Deva at one point, but I guess maybe it was going to take too long. That, or it was planned for an extra long uncut version which will debut any day now. That would definitely be fun right? Tea and Tristan are also around although they don’t do all that much. Tristan spends most of the film getting choked and messed with while Tea supports the duelists from the stands. She ends up being the first person to ditch the group for good so the status quo is certainly changing. Bakura is fairly important to the film, but I do definitely miss his true self. Normal Bakura just doesn’t work as a character quite as well as when he had that extra edge. Either way, it is fun to see the whole gang back again. A cool tribute to the classic game of Yugioh is that the film had each duel start at 8000 life points. The manga and anime titles never got to do this all that much because each duel would take too long. Technically, Yugioh should always be played with 8000 life points though as that is the standard. Since this was the big movie and time wasn’t really an issue, Dark Dimensions got to pull it off. I can safely say that I do prefer the 8000 life points set up. It allows each duelist to unveil longer combos without instantly winning through them. Yugioh 5Ds showed us the cons of a 4000 life point duel since you can feasibly beat someone in a single turn so they wouldn’t have a chance to counter. With 8000 life points, that isn’t really an issue. The theater where I saw this film had a lot of lively Yugioh fans in attendance so that was cool. This also meant that they were paying a lot of attention to the cards and naturally all of them had to subtly call out a moment where Kaiba had a special ability that let him instantly summon a Blue Eyes. Based on the reaction, I’m guessing that the effect was a little sketchy (Does it work like that?) or the card was a super obscure one that nobody has. It was a very cool ability though and Kaiba always makes sure to have the best cards. His preparation is second to none. Considering what a big film this is though, I’m fairly sure that the film played by the rules. Unlike the show where it can get away with breaking the rules sometimes, I doubt the writers would dare here. For kicks, there is one gimmick style of dueling in this film, Dimension Dueling. Under this style, you can summon whatever cards you want by infusing your cards with your limitless mental energy. Ultimately, there is absolutely no point to this technique and the only reason they probably added it was so you could see Yugi and Kaiba striking DBZ poses as they powered up. As such, it was less annoying than some other gimmicks like Action Cards from Arc V and it was passable. Of course, I was still thrilled that most of the duels in the film where of the standard kind. Why mess with something that’s not broken? If you’re waiting for Yami, then I’ll just say not to expect too much> This film’s really meant to be more of a Kaiba searching movie similar to Homura’s search for Madoka in Rebellion. Both climaxes are just as satisfying though so while Yami and Madoka didn’t get to appear all that much, the brief moment is hyped to the max. In this case, the rules probably were destroyed since the summon came out of nowhere, but I’m cool with that since the villain basically broke the rules by using a power up in the first place. His unlimited attacks with the cubes were also a little over powered and hard to stop. Anything goes at that point right? As expected, the animation is absolutely top notch here. The energy effects are great and all of the characters designs are completely on point. You won’t have seen so much blue in just about any other film. Kaiba has made the place so futuristic that you’d think you were in 5Ds or Zexal world at this point. It’s kind of cool that the classic series may finally be more advanced than the sequels. Whether it’s box monsters or a bunch of cool dragons, you’ll feel each and every blow from the monsters. A punch will send debris everywhere and the animation will crisply move on to the next scene. This film even made it easy for TV channels to air it as some scenes will go with a fade out before entering the next moment. Not to be outdone, the soundtrack is also excellent here. I would have liked a good GX tune or two of course, but this is a classic Yugioh movie so it makes sense to stick to its roots. We get a really nifty remix of Kaiba’s Batman theme from the TV show and also a pretty good remix of “Your Move” for the end credits. With the writing also at 5 star quality the whole time, the movie really has everything going for it. Also to bring it up one more time, the film handled Kaiba’s counter to reality warping perfectly. It really sets the standard for how other characters can handle it. Just activate your high tech gadgets and the villains are forced to respect it. Kaiba’s tech really knows no bounds and coming up for counters to abilities that have never been seen before was another epic moment. It’s easy to see why the crowd cheered for every single Kaiba scene. It was insane. The other characters were lucky to get cheering for half of their scenes. It was a really good decision to make this movie 2 hours for a change. It allowed the film to fit in a bunch of duels and also made the film more satisfying. It is hard to do quite as much when you only have 30-40 minutes as the duel has to be very short and that leaves no time for hype. Half of this film is really devoted to Kaiba’s hype and it paid off very well. The film never even comes close to dragging on as it’s almost nonstop action from the start. I’ve got to give the film a lot of credit for being this amazing. It really didn’t make any mistakes which is why it’s the optimal classic Yugioh film. I can’t see it being surpassed by another. In fact, even the bullies were defeated by the guy who was being bullied for a change. That was nice to see. 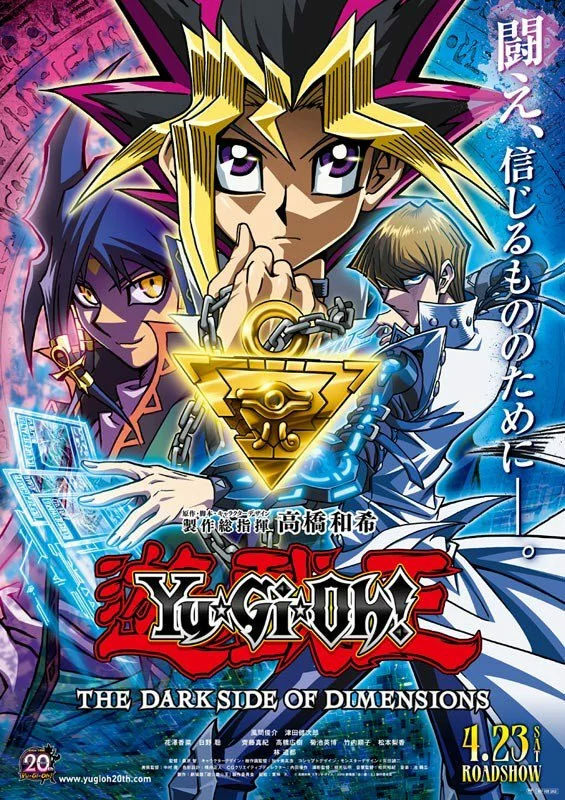 Overall, Yugioh The Dark Side of Dimensions is a film that I highly recommend. Whether you’re a Yugioh fan or not, you can appreciate the intensity and amazement that each scene brings to the table. There are a bunch of homages for old time fans, but enough flashbacks to help newcomers along as well. It’s hard to see anyone walk out of the theater and not pick Kaiba as the stand out character, but I suppose I can also see how his overwhelming presence and confidence can be a little intimidating for a lead. He’s certainly not here to make friends and accomplishing his objective is all that matters. At the same time, Kaiba never fell off the wagon so to speak. He never went crazy or power mad as he tried extreme things to bring Yami back. He didn’t even physically threaten anyone this time as he calmly just made sure to get what he wanted. Kaiba manipulates people, but he does so in a professional way that will keep his PR agency happy. As such, the ending of the film is perfect. Naturally, it would have been awesome if the film could have been extended another 20 minutes since Kaiba deserves the win. It would have been highly controversial though so the film may have been wise in playing it safe. It’ll be very hard to top this film to be honest, but if they do another crossover with Yugioh GX, anything is possible. It’s a really good time to be a card game fan with so many titles going on right now. It feels good!